Is your life characterized by continual setbacks and misfortune? Does it appear as though no matter what you do, you cannot seem to obtain the blessings of the Lord? You could be living under a curse. Unfortunately, there are still many believers living under curses even though they have been legally redeemed. Just as a believer may have to fight a good fight of faith for healing, he or she may also have to fight a good fight of faith against curses. Satan may not have a legal right to enforce a curse against you, but he is an outlaw and will attempt to do so anyway. Therefore, curses oftentimes have to be broken, and you must learn how to stand in faith against those curses, keeping them from operating in your life. The promises God gives us in the Bible are not automatic. They must be believed and often fought for. You don't have to fight God for His promises; He is not keeping them back from you. But you must contend with the Adversary who is trying to prevent you from receiving and walking in God's promises. 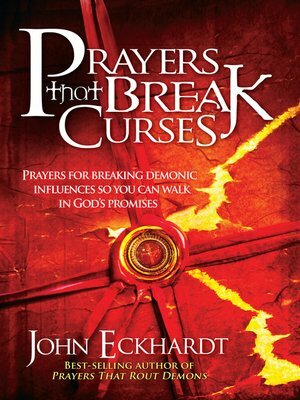 Written in the style of Prayers That Rout Demons, this second book in the series contains information about curses and sentence declaratory prayers to break the power of curses from your life.